So last week I was absent because I had to split my time between work on my new novel, some commissions (that I was behind on) and Murder School. I'll write about Murder School tomorrow on the X-Files blog. Tonight, I just want to mention the Olympics and how completely useless I am while they're going on. I love both Winter and Summer Games and my preferred sports tend to be the weirder ones. Steeplechase, anyone? My favorite winter event is the biathlon because the combination of cross country skiing and shooting essentially makes it the Jason Bourne of athletic activities. 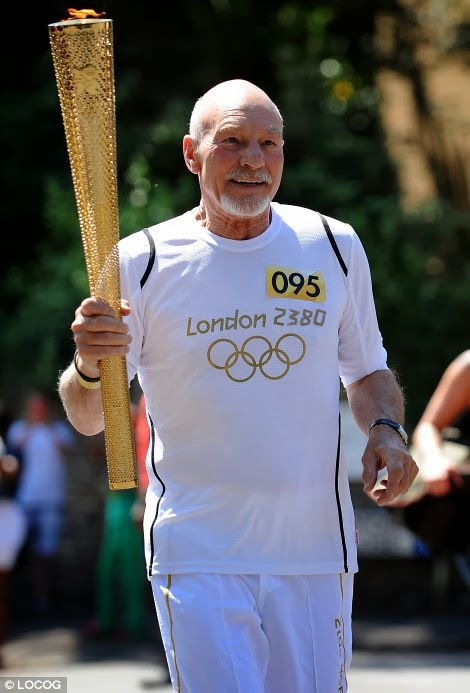 Anyway, since all I can do is work with Bob Costas yammering in the background for the next week and a half, it's inevitable that I eventually start planning a Star Trek Olympics. This seems the most obvious. 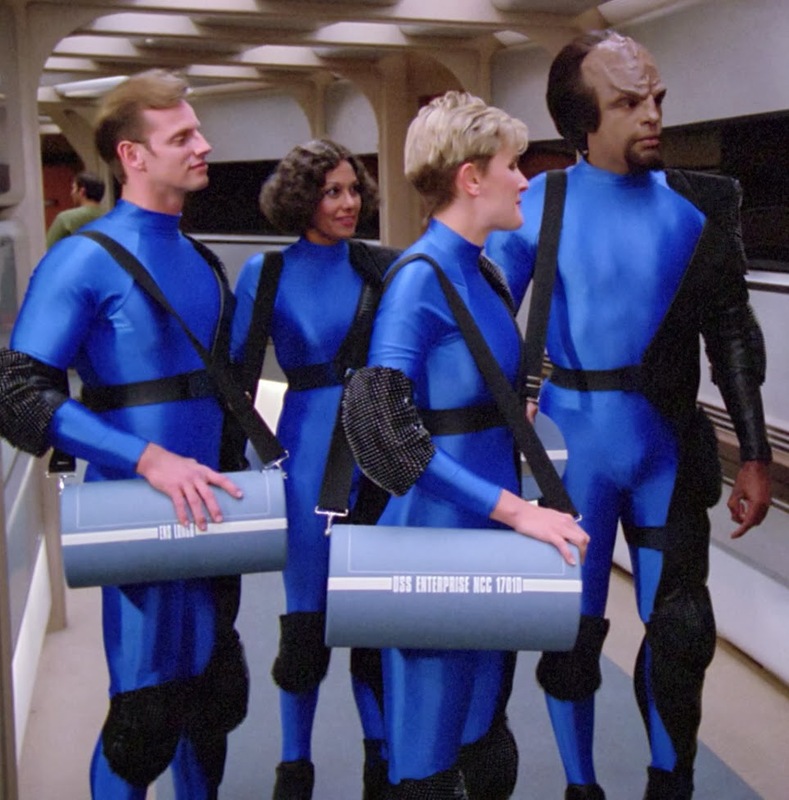 Next Gen revived Trek and suddenly everyone was tromping down the corridor in shiny blue spandex to play what is apparently a very tough, dangerous game. If this were an Olympic sport, Harry Kim (a Starfleet Academy champion) would probably hold a medal but no one would believe him. A game favored by the Riker clan, Anbo-Jitsu is a sort of pseudo-Japanese armored combat sport that you play BLINDFOLDED. Here's a thing captains (and future captains) apparently love--even in the future. Both Picard and Sulu are enthusiasts. 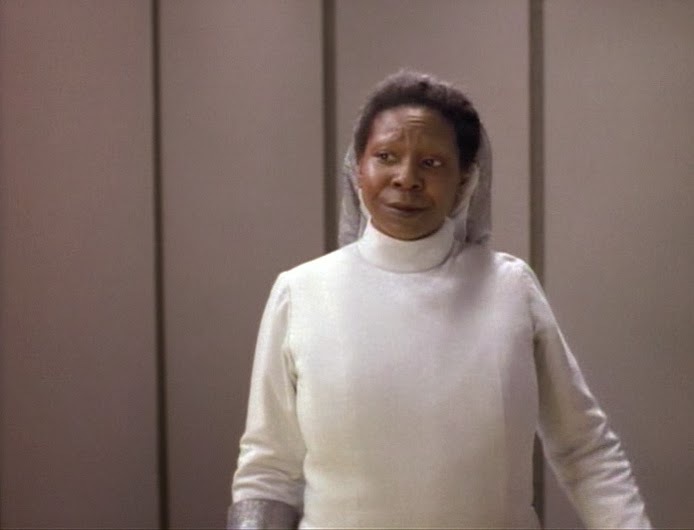 If anyone held a fencing medal though, it'd be Guinan, obviously. She'd keep it in a drawer along with some other epic stuff she never talked about like Mark Twain's hat and a bottle of Aldebaran whiskey. This is pretty much just futuristic target shooting where two people try to hit and avoid being hit by a disc that constantly zips around. Yet again, Harry Kim was supposedly some kind of big shot Velocity player but I'm really not buying it. Ok, I know this is an outdated game and no one plays it by the time Picard and Sisko are mad at each other. But I love it. And, really I think after the Niners-Logicians game of 2375, people of the future will come to their senses and reinstate this as an Olympic Sport. So that's six sports. I thought about including some Vulcan or Klingon martial arts. What do you think? Or maybe Dabo? I don't know, I'm pretty happy with these. Therefore- let the games begin! The Olympics make me happy. I love the biathlon too! It's very Jason Bourne. I love your take on Star Trek Olympics. Very well thought out! Clever idea--nice selection, love the photos! There’s a scene in Enterprise “The Forge” with the officers playing basketball. Archer enjoyed watching water polo. Can’t recall any snow or ice sports in Trek….baseball on DS9 was the best! One more for the future games…Hoverball, played numerous times on TNG, DS9, and Voyager. The first episode was in Picard’s romantic vacation on the planet Risa.